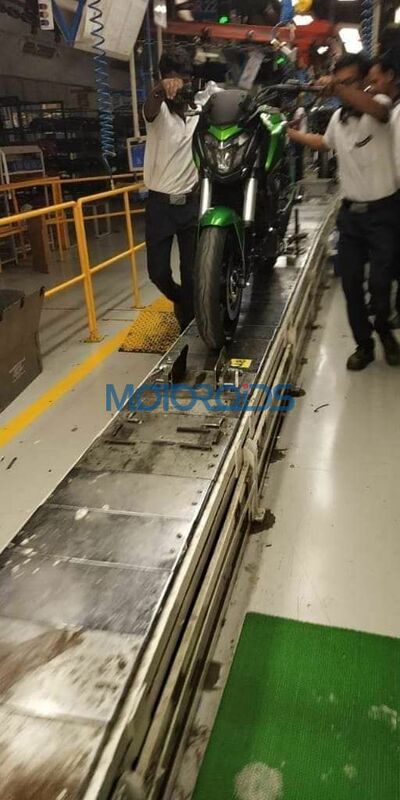 On its way to debut soon, the updated 2019 Bajaj Dominar has been spied once again. This time in a dazzling green shade, in what looks like the assembly line at the Chakan plant of Bajaj, where this bike is manufactured. 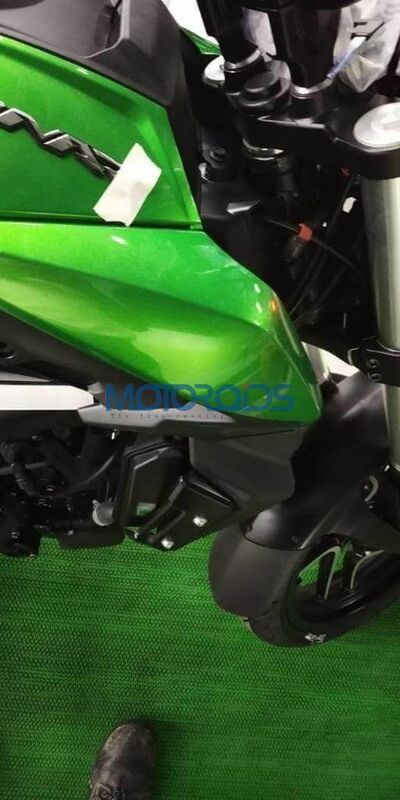 For the upcoming model year, the bike receives a certain amount of changes, some quite significant, but retains the same appearance of the ongoing model. Only a closer look can help you differentiate the two models. The changes are also accompanied by new colour options including this rather loud green shade, a matte black, White and Red. Coming to the changes on the bike, the bike now gets a USD fork set up front. This would replace the conventional telescopic suspension set up the bike had earlier and offer more feedback to the rider. The shocks are finished in a shade of silver, which looks very unique in this segment. Also included in this update should be a ride by wire system, which will further improve the riding experience. The exhaust system now gets a double barrel treatment, with the catalytic converter moved inside, improving both the looks and ground clearance of the vehicle. Further, the aural experience of the vehicle will also improve. Going by the rider’s posture in the promotional video, there are some ergonomic changes as well. The engine will get a new DOHC setup, which combined with the new exhaust system, should give a small bump to the power figure. The brake disc calliper is mounted radially and ABS is expected to be offered as standard with the new bike. Apart from that, a new secondary tank mounted display will assist the rider to glance quickly at ride-related information. Looks like a promising package, which is expected to be available in showrooms sometime next month. Stay tuned for more updates about the new Bajaj Dominar.